You may assume that fighting for custody is the same as thinking of your children, but all too often parents lose sight of the needs of their children in custody fights. Child custody evaluator Jonathan Gould argues that children need both parents and that when children are deprived of one parent, they can suffer immensely. Your ex may be the enemy to you, but he's a parent and hero to your children. Never force your children to take sides and never bash your ex to your children or try to interfere with your children's relationship with their other parent. These behaviors not only harm your children; they could also harm your case. When you file a child custody action, everything can immediately become evidence, from texts between you and your ex to comments you've made to your children. Your ex may record you or have a private investigator follow you, and you should assume that everything you do is monitored and will be used as evidence. This includes text messages and e-mails, Facebook postings, appointments and off-the-cuff comments. Mean-spirited comments directed toward your ex can be upsetting and psychologically damaging to your children, which is reason enough to avoid them. However, in a contentious case, these comments may be used to make you look unreasonable, abusive or unfit to parent your children. Just as everything you do is evidence that might be used against you, it's important to keep full documentation of what your spouse is doing. Make a note of any problems. If, for example, he's always late to pick up the kids, begin keeping a log of his late arrivals. Communicate in writing whenever possible. This could protect you from having your words misquoted and provides a paper trail tracking both your agreements and disagreements. Whether you're seeking child support or your ex-spouse wants you to pay child support, it's vital to keep a record of all of your expenses. Most of us have regular expenses that we rarely think about, and it's important that those are covered in your financial accounting. You should also log money you spend on your children such as clothing, doctor's appointments, tuition costs, child care and any other regular necessities. 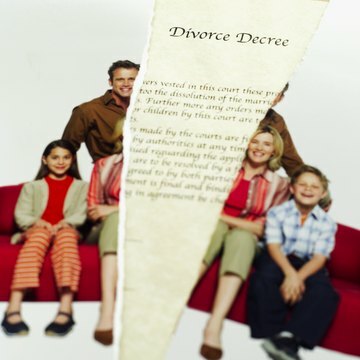 In the chaos of a divorce, it's easy to get caught up in the stress of the moment. But there's a new life on the other side of your divorce, and it's important to be prepared for it. Even more important, your children need you to be a competent, loving parent who does not allow your anger at the other parent to compromise your parenting. If you find yourself overwhelmed with anger or grief, consider seeking help from a therapist or psychiatrist specializing in divorce in addition to a competent lawyer. There are several things that could compromise your child custody case and make you look terrible at your divorce hearing. Don't keep your children away from the other parent unless he poses a serious danger to them. Never ignore a court order to pay child support, attend parenting classes or allow visitation with the other parent. If you have a drug or alcohol problem, stop using and get treatment now because these addictions may very likely be used against you. Although it may be tempting to pick every fight possible and exercise every little bit of power you can over your ex-spouse, avoiding this and trying to compromise is more likely to benefit your children and may make you look like a more reasonable person in court. Building a Parenting Agreement That Works; Mimi E. Lyster et al.